Gorgeous remodeled home situated in a quiet neighborhood, close to Peterson AFB, and an elementary school. Home is within walking distance to a park, and close to all the best shopping. Entertain in the bright open great room, over gleaming hardwood floors in front of a cozy warm fireplace, just off the updated kitchen with fresh counters and cabinets and new stainless-steel appliances. Walk out to the massive, fenced back yard where you can play in lush green grass, under mature trees, or entertain on the covered patio in total privacy. 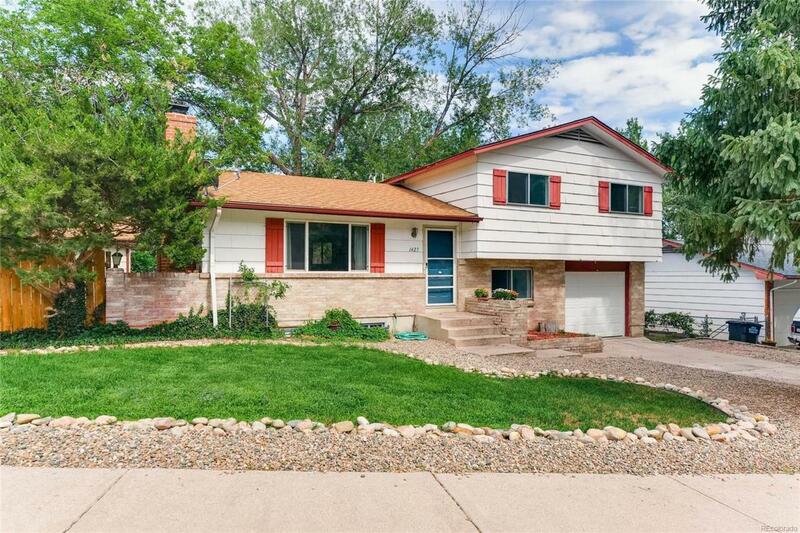 All four bedrooms are very spacious, with fresh paint and carpet, as well as updated light fixtures. Youll love the huge corner lot. The detached garage is the perfect place for the hobbyist. Both garages have newly installed garage doors. Dont miss this rare find, an updated four-bedroom house, with three car garage. All the flooring has been freshened up with new tile, hardwood and carpet. New roof and electrical panel being installed.